Sibal Suarez Holt of S. Holt Construction LLC has been honored by the Central Louisiana Business League as its 2010 Jimmie Rax Sr. Business Person of the Year. The award was presented Friday night at the league’s annual meeting and Christmas gala. “We do what we say we will do, always in an effective, cost-efficient and high-quality manner,” Holt said. She is the first female African-American general contractor in the city of Alexandria, according to a news release from the Business League. 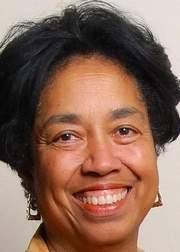 The release said Holt was the first African-American to be hired into the Bell South System, the first female African-American registered lobbyist in the state of Louisiana, the first minority selected to join the executive board of any state’s AFL-CIO and the first female African-American to serve as the president of the Louisiana AFL-CIO. The Business League also recognized Stephen Wright, CEO of Christus Health LA, as a recipient of the 2010 national “Champions of Diversity” award. The meeting included a keynote address by Lloyd Ward, CEO of CleanTech Solutions Worldwide LLC; and the public debut of several small-business startups that either completed training in the Louisiana Economic Development’s Microenterprise Program or received assistance in its Small and Emerging Business Development Program.